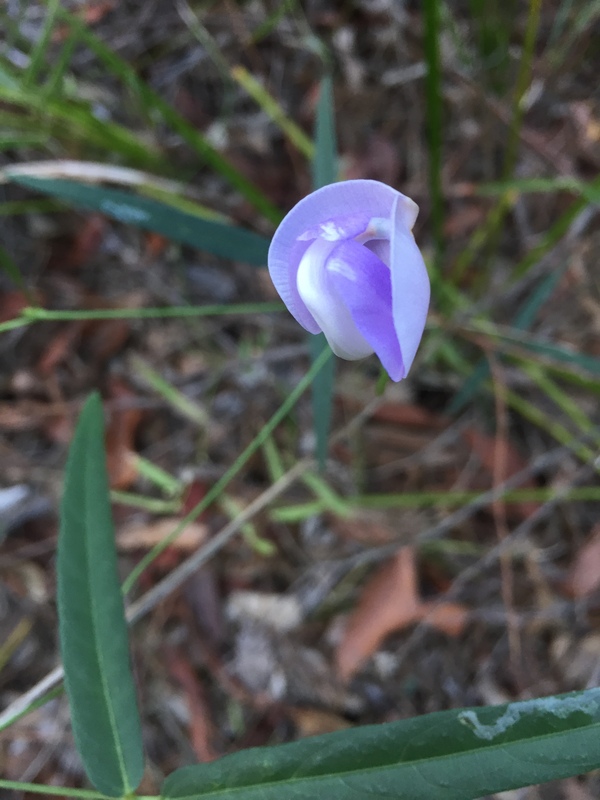 Finding a Wild Cow Pea Vigna vexillata var. 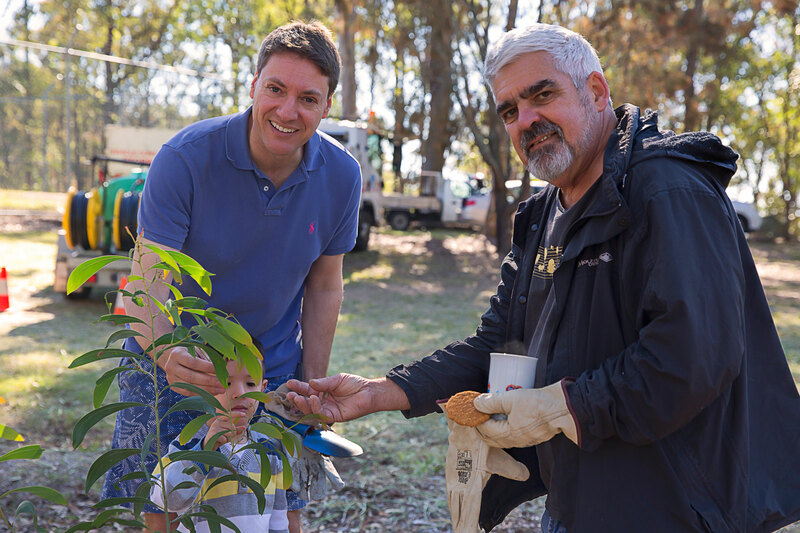 augustifolia brings the number of native plant species found in Mt Gravatt Conservation Reserve to two hundred and seventy eight. Two hundred and seventy eight native species in our 66 hectare Reserve is equal to 20% of all native plant species in Great Britain which has 22.6 million hectares. The extra ordinary species diversity in the Reserve is something worth protecting and valuing. 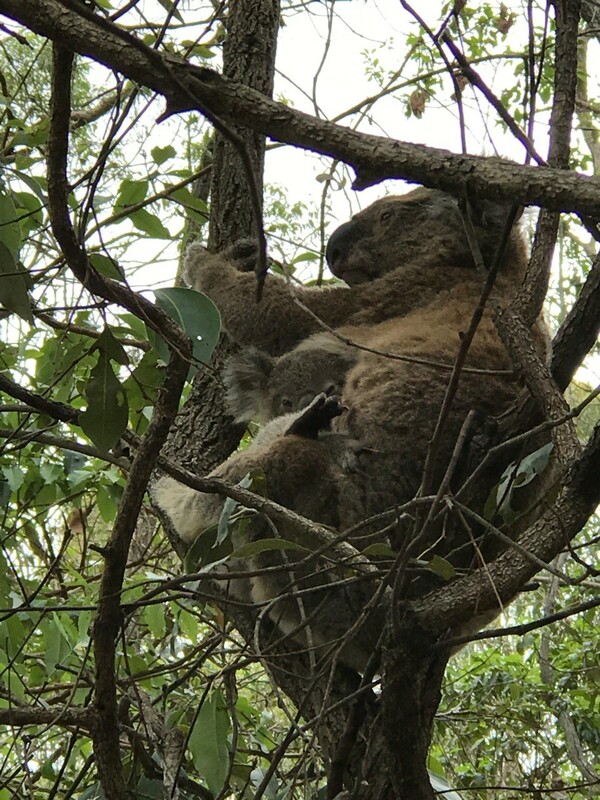 As well as plant diversity the Reserve has a healthy population of breeding Koalas. Please keep reporting the sightings: photo (phone camera photos are fine), approximate location, date time. Your reports are important evidence that helps us get ongoing funding and support for our restoration work. 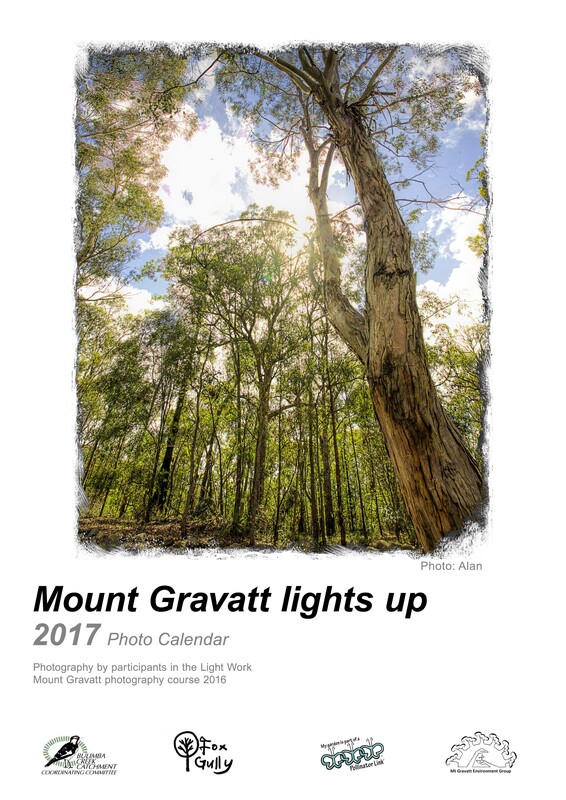 Share a unique view of Mt Gravatt Conservation Reserve with family and friends and support our ongoing restoration work and wildlife research. 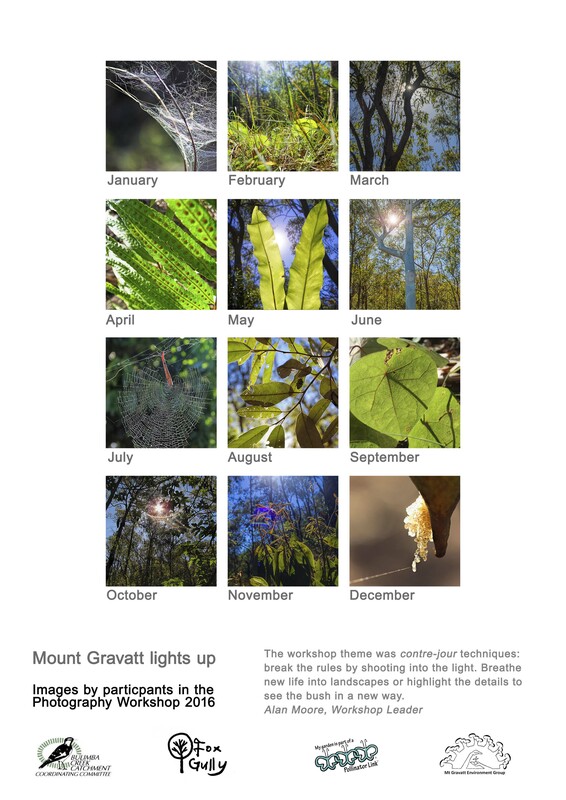 The 2016 Photography Workshop was called Mount Gravatt lights up, so workshop leader, Alan Moore, has selected participants photos that show contre-jour techniques. Contre-jour techniques break the rules by shooting into the light. The photos chosen breathe new life into how we see the world around us in a new way. 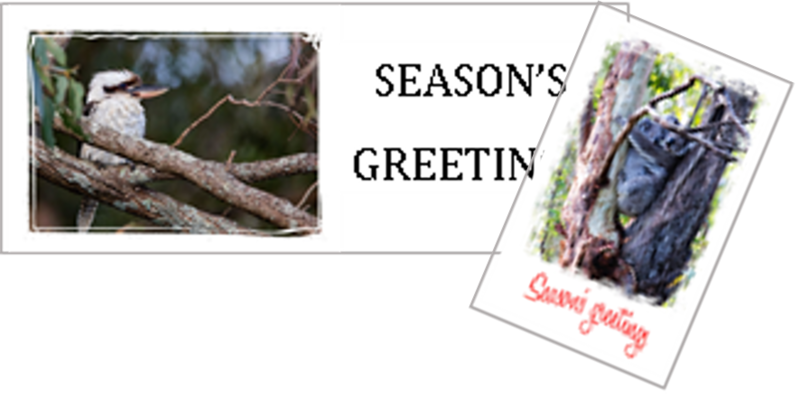 Calendar: $15ea plus $3.00 post & packing. 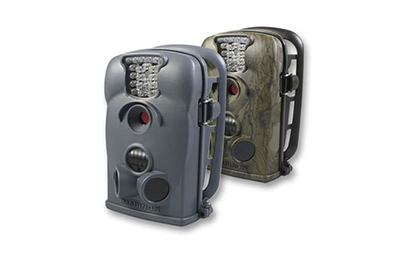 Funds raised in past years have allowed for purchase of research equipment like the infrared wildlife camera used to monitor the Squirrel Glider Petaurus norfolcensis families living the nest boxes at Fox Gully Bushcare. 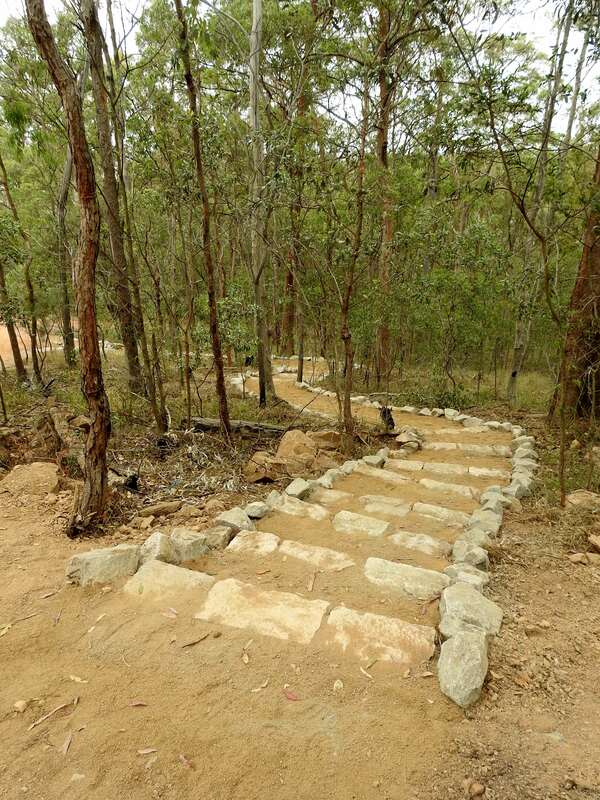 Thanks to the BCC Natural Environment team for reconstruction of the steep slippery section of Geebung Track near Azanian Street entry to Mt Gravatt Conservation Reserve. 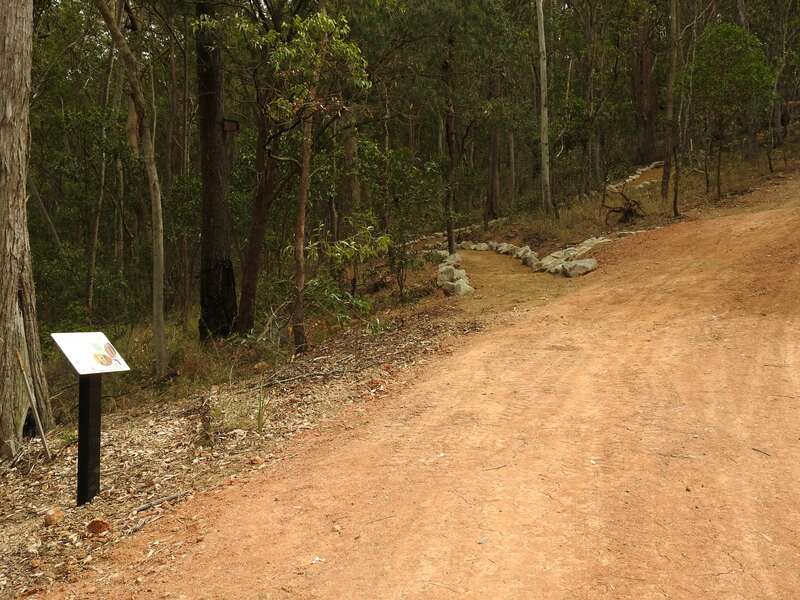 The new track starts near the Glider interpretative sign and loops into the bush, missing large trees and uses steps to create a safer easier walk. Professionally made steps rejoin Greebung Track at top of steep section. The Natural Environment team have specialist contractors to do track restoration work. The existing track had already been restored right up to the small green water reservoir. That restoration work included large swales to direct water off the track reducing erosion. The contractors have set up the new section of track with rocks to handle the huge volume of rain water coming off the swales. Join Griffith Mates for the Ochna Blitz Challenge! We will do a walk through the National Tree Day planting and some light weeding then move onto the Mickey Mouse Plant Ochna serrulata. The planting site is looking great with trees and vines planted in 2015 now flowering and producing seed. A Sickle Leaved Wattle Acacia falcata is already hosting caterpillars of the Imperial Hairstreak Jalmenus evagoras butterfly. The caterpillar is protected by “Kropotkin” ants – Small Meat Ant Iridomyrmex sp. The ants provide protection in return for sugary fluids secreted by caterpillar. Imperial Hairstreaks will only return to breed where both caterpillar food plants and the ants are present. Kropotkin is a reference to Russian biologist Peter Kropotkin who proposed a concept of evolution based on “mutual aid” between species helping species from ants to higher mammals survive. The combination of rain and clearing Creeping Lantana Lantana montevidensis means the Ochna is thriving and it is covered in flowers and seeds. However, the rain also means must easier to pull our either by hand or Treepopper. 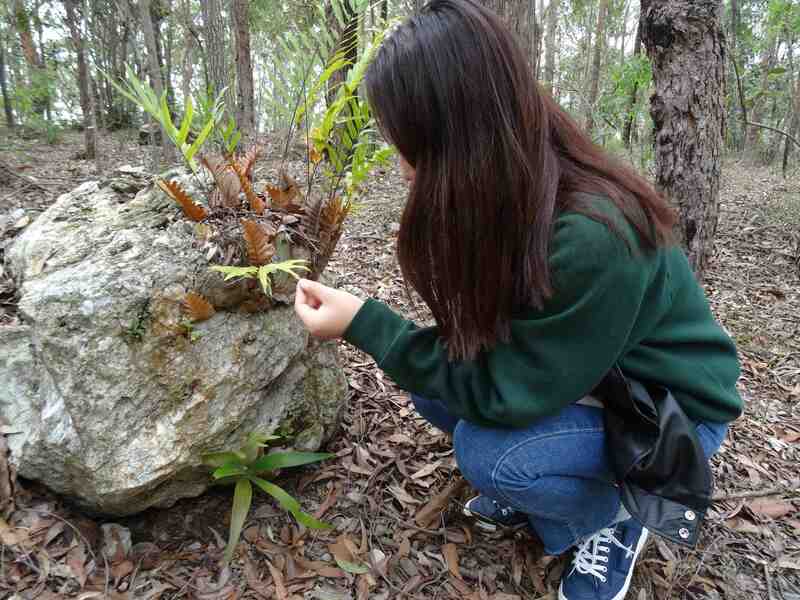 I introduced Korean student Jisu to our wildlife and native plants in Mt Gravatt Conservation Reserve while walking to Mt Gravatt Campus. Jisu is keen to meet a Koala but neither of us expected to meet a Kangaroo on the Griffith Inter-campus. 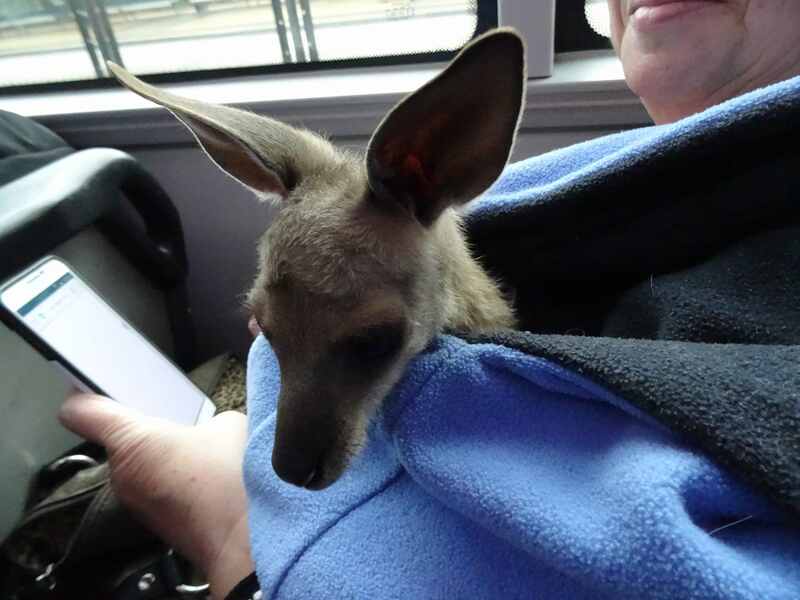 This youngster was happily nestled into his substitute pouch on the wildlife carer’s lap. 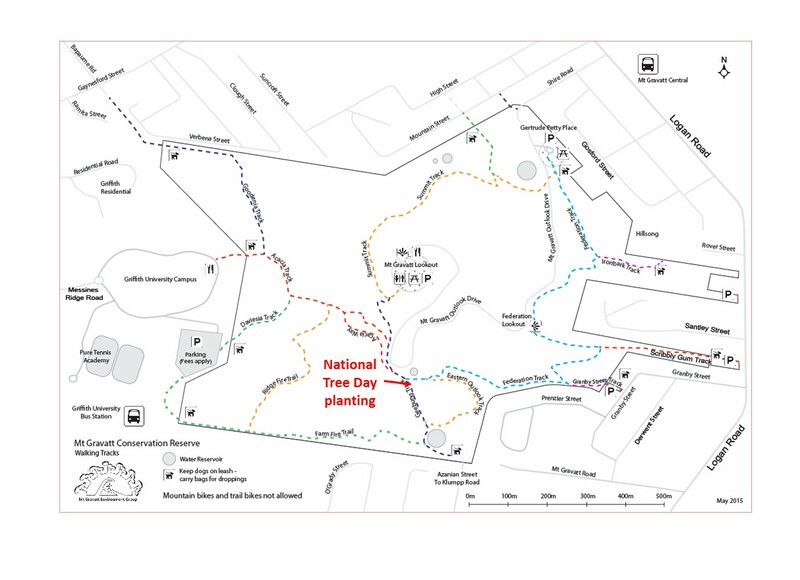 Sunday morning 31 July and one hundred and thirteen volunteers have arrived for 2016 National Tree Day. So I took one team to tackle the Creeping Lantana Lantana montevidenses while Sue Jones organised the other team to start the planting. The teams swapped jobs after morning tea. 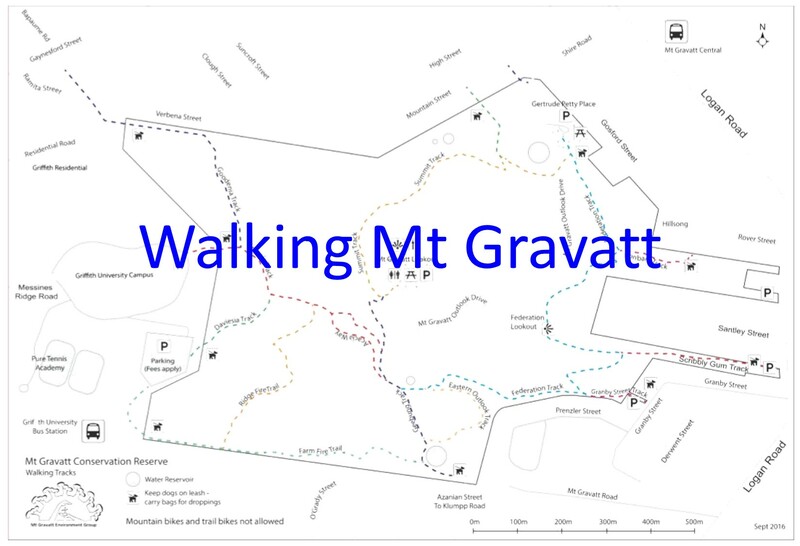 Creeping Lantana is a major weed threat in Mt Gravatt Conservation Reserve. Lantana competes for native plants for scarce water reserves and nutrients, physically smothers other plant and the chemicals in Lantana have a significant negative effects on native plant species. 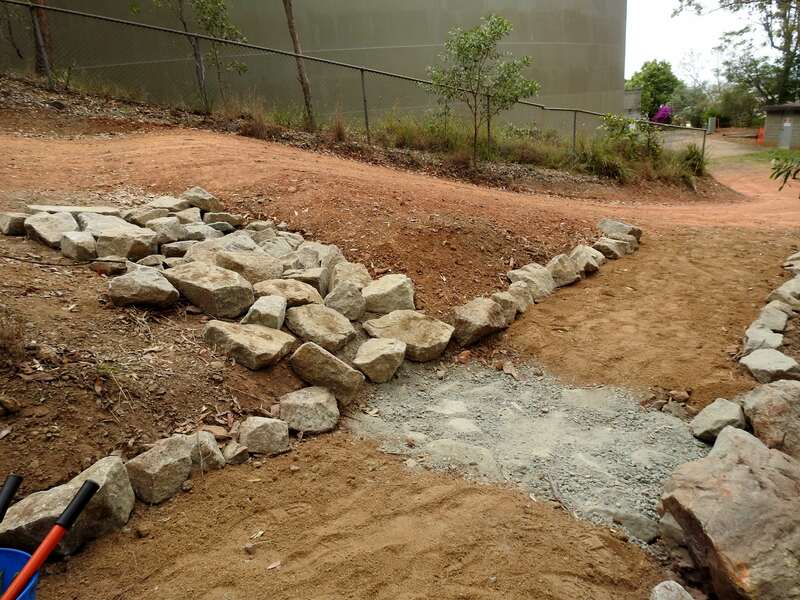 The Lantana Busting teams cleared an amazing 1,600 square metres with one group raking the weed into long swales to manage erosion and retain water while others followed up, hand pulling the remaining roots. I explained that once the roots are removed the Lantana can be left piled up without regrowing. Slow, detailed but amazingly effective work. I showed the teams the natural regeneration of native grasses: Pademelon Grass Oplismenus imbecillis and Creeping Beard Grass Oplismenus aemulus, Tufted Scleria Scleria mackaviensis (native sedge) and Slender Grape Cayratia clematidea (native vine). Nature works 24/7 to build on our work and the forest will regenerate naturally if we clear the weeds. Like last year, this was real cross-cultural event with the Griffith Mates Bushcare Team, Ahmadiyya Muslim Association and Alpha Phi Omega teams returning. This year we welcomed a new team representing carbon neutral energy supply company Viridian Energy Australia. 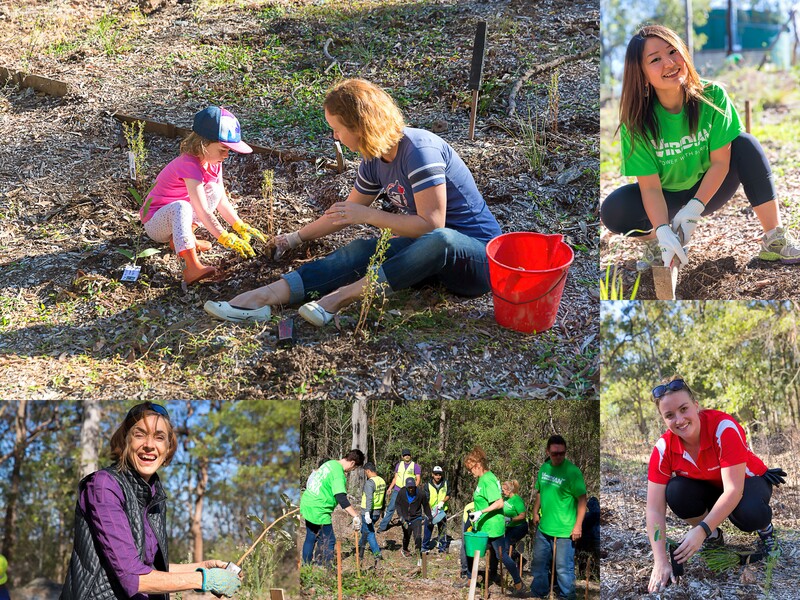 Viridian team members traveled from the Sunshine and Gold Coasts to join us making a practical contribution carbon sequestration to protect our children’s future. And the kids were there digging in to build their own future. Kids love digging in dirt and look at the skill development! 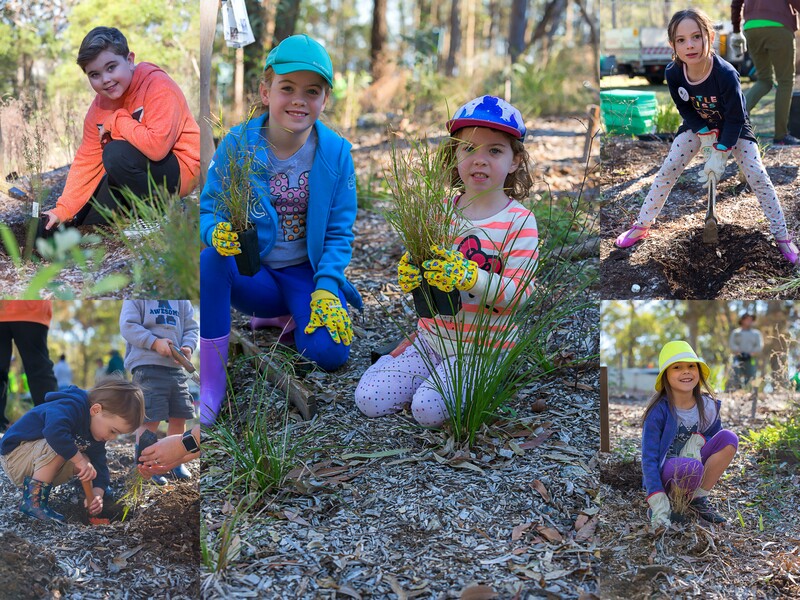 Let’s invite these future builders back for 2017 National Tree Day. 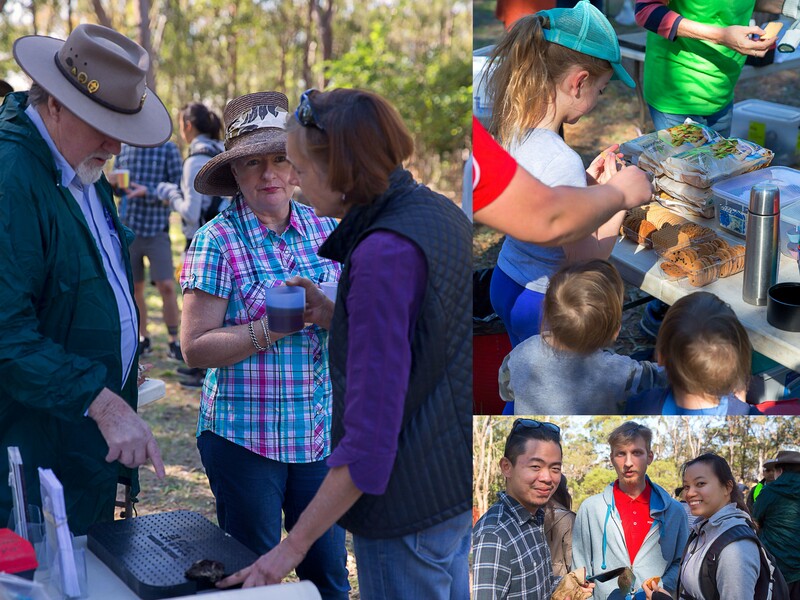 All that hard work deserves some tea and bikkies and time to learn about our native bees from Len Kann. I show Ross Vasta and his son an Acacia Falcata planted in 2015 and already flowering. Of course events like this are not possible without the strong support we receive from our local, state and federal politicians. We were pleased to welcome Ross Vasta MP, Federal Member for Bonner and Jo Kelly MP, State Member for Greenslopes. Ian Walker MP, State Member for Mansfield and Cr Krista Adams, Councillor for Holland Park both wanted to attend but had other prior commitments. 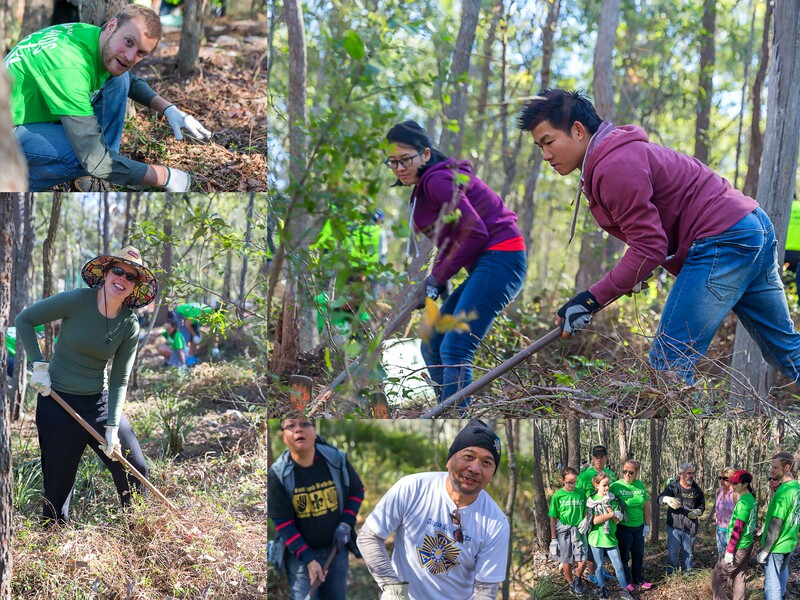 An amazing event – see Stats below, and importantly it looks like 2017 National Tree Day will be even bigger with all the teams and local community members telling me they want to come back. 1,600 square metres of Creeping Lantana cleared. 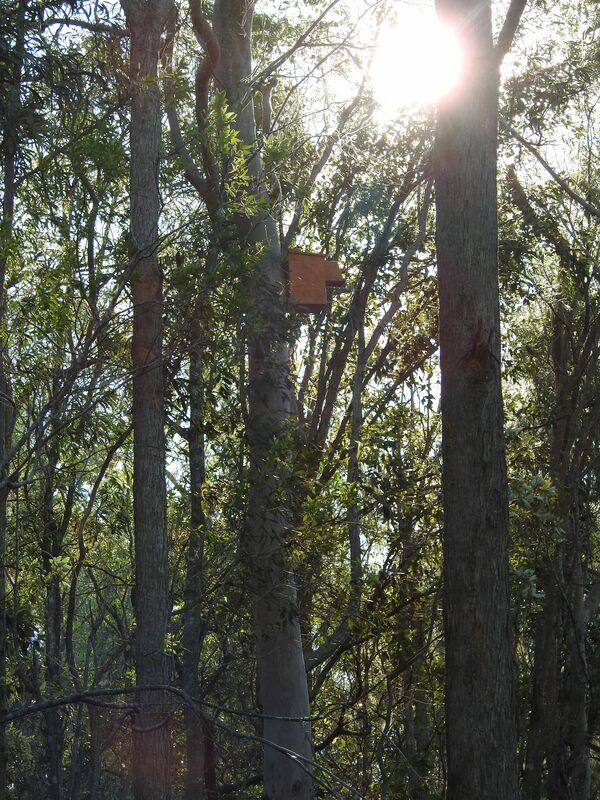 The success of the first ten nest-boxes installed at the Fox Gully Bushcare has confirmed our research which showed the lack of suitable breeding hollows in trees. The nest-boxes were installed in October 2012 and since then Squirrel Gliders Petaurus norfolcensis have been breeding and now two Glider families occupy five boxes. The first tenant in the boxes was a Brushtail Possum Trichosurus vulpecula in the Kookaburra box at the junction of the Geebung Track and the Farm Fire Trail. 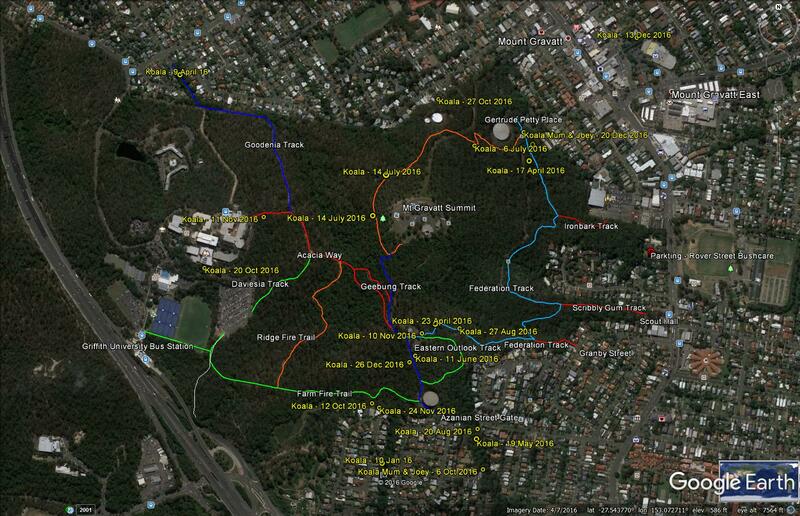 She has since raised two joeys and if you look into the box from the Geebung Track you will see her curled up asleep. Kookaburras took over the Bookbook Owl Ninox novaeseelandiae box and have raised two clutches of chicks. Rainbow Lorikeets Trichoglossus haematodus have raised chicks in the Lorikeet/Rosella boxes. 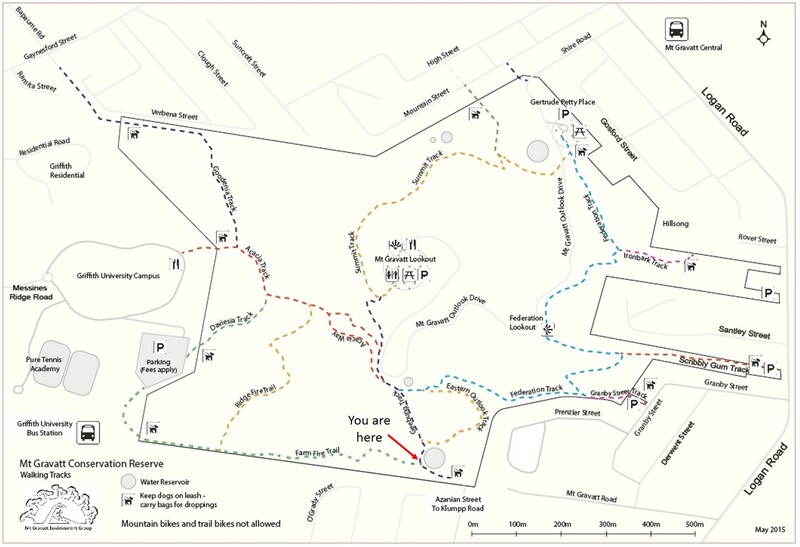 Play spot the nest-box when you walk the Geebung Track with your kids. What species uses what box? Also keep an eye out for birds creating nest hollows in the trees. Just last week I photographed a pair of Sulphur-creasted Cockatoo Cacatua galerita clearing out a hollow where a branch has broken from a Spotted Gum Corymbia citriodora v variegata.